We have been privileged to have as our home the Great Hall at Barts, one of the most beautiful halls in London, with its 18th century panelling recording donations from benefactors dating back to the 16th century. The great staircase leading to the Great Hall, houses the magnificent mural of Christ at the Pool of Bethesda painted by Hogarth, a governor of the Hospital. Many of the concerts, both at Barts and outside venues, have been linked with medical meetings. The concert for the XIIth European Congress of the International College of Surgeons in 1981 took the group, for the first time, to the Guildhall where we treated an international audience to both Land of Hope and Glory and the choral movement of Beethoven’s 9th Symphony. The concert for the London meeting of the Association of Surgeons in 1983 was in Merchant Taylor’s Hall, with Jack Rozman as the soloist in a Haydn violin concerto. Medical meetings in 1986 took us to the Queen Elizabeth II Congress Centre and the Institute of Education, and in 1993 to the Royal Festival Hall. On the latter occasion we gave the first performance of Anne Hunter’s libretto for Haydn’s Creation. Aileen Adams had located the manuscript in Hunter’s artefacts at the Royal College of Surgeons, Clifford Bartlett had adapted this to the music, and Robins Landon had given his blessing and Presidency to the occasion. The concert was sponsored by Glaxo and raised enough funds for an Anne Hunter surgical scholarship. 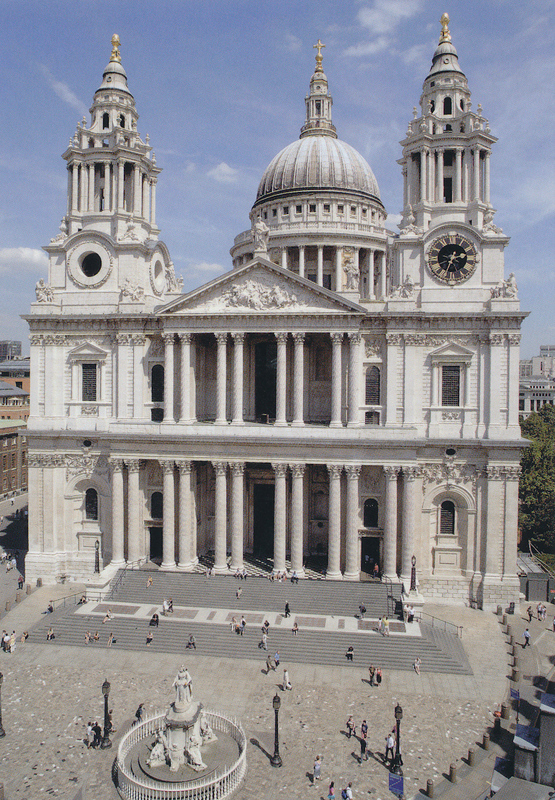 The concert for the XXIX World Congress of the International College of Surgeons took place in the Palace of Westminster, while the Venous Forum delegates filled St Paul’s in 1995, the programme including Zadok the Priest, Vivaldi’s Gloria and a Mozart violin concerto, with Garcia as soloist. Churches have been a regular setting for many concerts dating back to our origins in Christ Church, Woburn Square. St George’s Bloomsbury probably the only church in the world with the statue of a king on top, was the venue for an early rendering of the Messiah in 1976, we were to return to this Hawksmore masterpiece, after its restoration in 2005. Elgar’s church in Oxford was an appropriate setting to perform the Dream of Gerontius in 1980. Roddy Wells took us to his father’s church in Ipswich in 1987, and on a number of occasions we sang in Vicky’s French church in Soho, Riet conducting the Faure Requiem on one of these visits. St Michael’s, Regents Park, provided an excellent organ for Nick Murdoch to be soloist in the Saint-Saens’ Organ Symphony. The choir made many additional ecumenical visits: these included Christmas Concerts at St Clement Dane’s for The Wishbone Trust, while services at Barts-the-Great and Barts-the-Less incorporated Christmas, Luketide and View Day Services, and other celebratory and memorial occasions. The orchestra was also involved in some of the latter events notably the memorial service for Sir James Patterson-Ross in Barts-the-Great in 1980, and that for Hazel Child at the Royal College of Surgeons in 1984. The proceedings of all Great Hall concerts are donated to Barts and Royal London Charities, and charitable events have been a common theme for many additional concerts. For a number of years a close liaison with Gordon Piller facilitated a number of concerts in aid of the Leukaemia Trust. The first of these was in the Guildhall in 1978 when Peter Sidhom played the Judge inTrial by Jury, and Peter Pratt and friends sang other G&S favourites. The 1983 and 1984 seasons included two Albert Hall Christmas concerts, with David Bell as accompanist and also soloist in a Handel Organ Concerto. Further Leukaemia Research concerts included the memorial for Sir Ronald Bodley-Scott, and a Mozart Soiree, both in the Great HaIl in 1983; Yvonne Pettingell took us to Wimbledon in 1986, 1987 and 1988 for three concerts in aid of Hosanna House, and the group has participated in Voices for Hospice programmes from its inception in 1994. A Barbican performance of the Verdi Requiem in 1995 was in aid of the National Appeal for Music Therapy. We performed two memorable children’s concerts with Teresa Gallagher narrating. They included Peter and the Wolf, Sparky and the Magic Piano, with Rose Cholmondeley as soloist, The Three Bears and Tubby the Tuba, with Tony George as soloist. Celebratory concerts have provided many great occasions. Anne and Fred Morgan took us to Chertsey which was the only occasion when the conductor tried his hand at narration. We contributed to the Marketors’ celebration of the 800th anniversary of the mayorality in 1989 with a Guildhall concert, with Richard Baker as narrator. In 2000, a comprehensive programme, drawn from two hundred years of music, was given for the Bicentenary of the Royal College of Surgeons, with James Wilby as narrator. A performance of Belshazzar’s Feast in Hackney Town Hall may not have had any particular designation, nor an advertised narrator, but is remembered for the well-projected contribution from an old lady in the front row of “makes yer deaf”, delivered on one of the rare moments of silence in the work.